We know the perception of Australia has a reputation for being home to ‘dangerous’ animals but it’s nothing to sweat over, most wild animals don’t live in the cities. In fact, some can be very hard to find! If you’re heading here as a visitor (and sorted your visitor cover) you may need our handy guide on some of Australia’s native animals and the best places to spot them. Dingos are wild dogs that live all across Australia’s bushland. The best places to spot them are Queensland’s Fraser Island, the Kimberley in Western Australia and the deserts in Northern Territory and South Australia. There are 55 different native species of kangaroos and wallabies (a smaller species of kangaroo). Hopping up to speeds of 71km/h, they can be very dangerous if you find yourself in a boxing match with one. Kangaroos can often be spotted at dusk in most grassland areas, but for the best chance to see them, head to Namadgi and Kosciuszko National Parks in the Australian Alps, Pebbly Beach in New South Wales and Tasmania’s Freycinet National Park. Despite popular belief, our koalas are not bears. 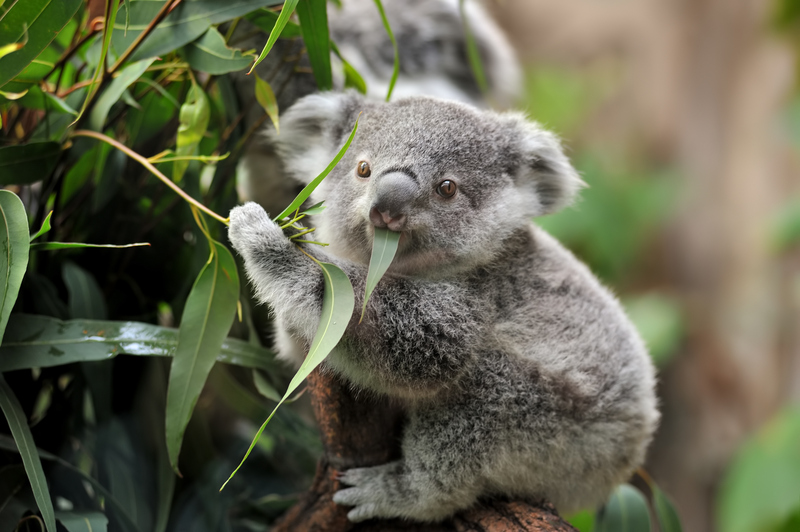 They live in eucalyptus tree branches and can sleep up to 18-20 hours a day. You can spot koalas at Tidbinbilla Nature Reserve near Canberra, Port Stephens in New South Wales and the Lone Pine Koala Sanctuary in Queensland. Wombats are stout, burrowing animals that can weigh up to 36 kilograms. Some of the best places to see them in the wild are the Blue Mountains National Park in New South Wales, Wilsons Promontory in Victoria and Cradle Mountain-Lake St Clair National Park in Tasmania. Platypuses have duck like bills, furry waterproof bodies, and webbed feet. They live in river banks burrows and can be very difficult to spot. Your best chance to see them is in small streams and calm rivers along the east coast, such as the Tidbinbilla Nature Reserve near Canberra, Lake Elizabeth in Victoria’s Great Otway National Park and in northern New South Wales and Queensland. Echidnas, also known as anteaters, have a prickly coat like a hedgehog or porcupine – so don’t try to touch them! Kangaroo Island is one of the best places to spot them in the wild. Emus are Australia’s largest native bird and stand nearly two metres tall. They can’t fly so you’ll find them on their feet in sclerophyll forests and savanna woodlands. They are also pictured on Australia’s national emblem! Kookaburras are social birds best known for their distinctive laugh. You can see (or hear) them in most Australian woodlands. Penguins are little aquatic, flightless birds with flippers. Visit them on the shores of Kangaroo Island in South Australia and Philip Island in Victoria. Cockatoos or ‘Cockies’ are best known for their beautiful yellow crest and ear-piercing squawks. Just look up in rural and urban areas to catch sight of them. Australia is home to two crocodile species, the freshwater, found nowhere else in the world, and the saltwater crocodile (salties). The Kimberley, Kakadu National Park and Cape York Peninsula are excellent places to see crocodiles in their natural habitat. Just don’t swim with salties, they are known to attack humans. One of the largest whales in the world, you can catch a glimpse of Humpbacks during their migration from May to November along the east coast.